Baseball had been Marcel Serventi's life. He'd had a chance to pitch in the Pacific Coast League and now he was proudly serving his country in the uniform of the United States Army. Growing up in Oakland, California, was all about baseball for Marcello L. "Major" Serventi. At the age of 16, he was pitching for Technical High School, the O.K. Batter ies sandlot team, the St. Columba team of the Catholic Youth Organization league, and Post 5, the Bay Area American Legion junior baseball champions. A year later he was playing semi-pro baseball with the E. Bercovich and Son Furniture team in the East Bay Summer League, and attracting a lot of attention from the local Pacific Coast League team. In the summer of 1934, it was announced that he had been signed by the Oakland Oaks for 1935. Serventi made some strong appearances for the Oaks during spring training but was farmed out to the Vancouver Senior A League where he played for the Athletics and won 12 games, returning to the Oaks in September to make three appearances. Back with Oakland in 1936, Serventi made eight appearances for the team for a 1-0 record. His only win of the season came on September 12 at Sacramento when he beat the Solons, 7-3, struck out nine and contributed a run-scoring double. But the game made the local news for another reason. "[Serventi] set up a record that had old-time fans still scratching their heads late last night," revealed the Oakland Tribune the following day. "Not a single putout or assist was registered by the three Oakland outfielders during the game." 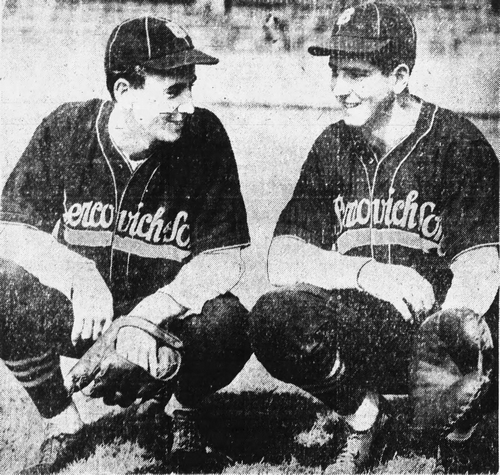 In 1937, Serventi made 17 early-season appearances for the Oaks, mainly as a relief pitcher, and was given his release in June. He immediately signed with the Seattle Rainiers who farmed him to the Wenatchee Chiefs of the Class B Western International League, where he was 10-11 with a 4.08 ERA and an allstar selection. Serventi spent 1938 with the Rainiers in the Pacific Coast League. He made 26 appearances and was 2-4 with a 4.55 ERA. In 1939, the club sent him to the Spokane Hawks of the Western International League, where he established himself as an excellent starting pitcher. His 17-13 record - which included five wins in eight days - was a career best and he led the league with 266 innings pitched, while his 194 strikeouts was second best in the league. 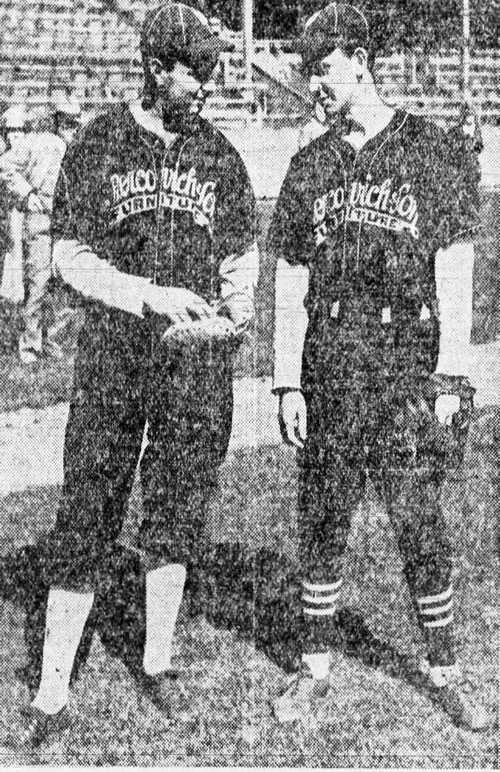 Serventi must have hoped for a spot on the Randers' pitching staff for 1940, but found himself back at Spokane where he put in another sterling performance and was 16-10 despite an inflated 6.09 ERA. On February 1, 1941, Serventi entered military service. He was stationed at Fort Ord, on the Monterey Bay Peninsula about 100 miles south of Oakland, and traveled each Sunday to Oakland to play with the semi-pro Ben's Golden Glow team. Serventi had the makings of an excellent soldier. He was 24 years old, quickly rose to the rank of private first class, and was well on his way to becoming a corporal. On July 4, 1941, Serventi was returning to Fort Ord from Oakland when his car smashed into a power pole. He suffered severe injuries and died the following day. "The story of Serventi's death rated only a couple paragraphs on the bottom of a sports page," eulogized Oakland Tribune sports editor Art Cohn. "But to us, his friends, we want to think of him as a champion who didn't quite make the grade, a swell fellow who if he didn't make a name in baseball left one as a soldier." 1. The Vancouver Senior A League was made up of players who had been sent to the city from various clubs in the Pacific Northwest. It became the Class B Western International League in 1937. The Athletics were operated by long-time professional club owner and general manager Bob Brown, a regional legend. 2. Oakland Tribune, September 13, 1936. 3. Oakland Tribune, July 9, 1941.